YSL Touche Clat | Is it worth the money? I initially received this as a gift from my husband and I was so excited to start putting this product to use. 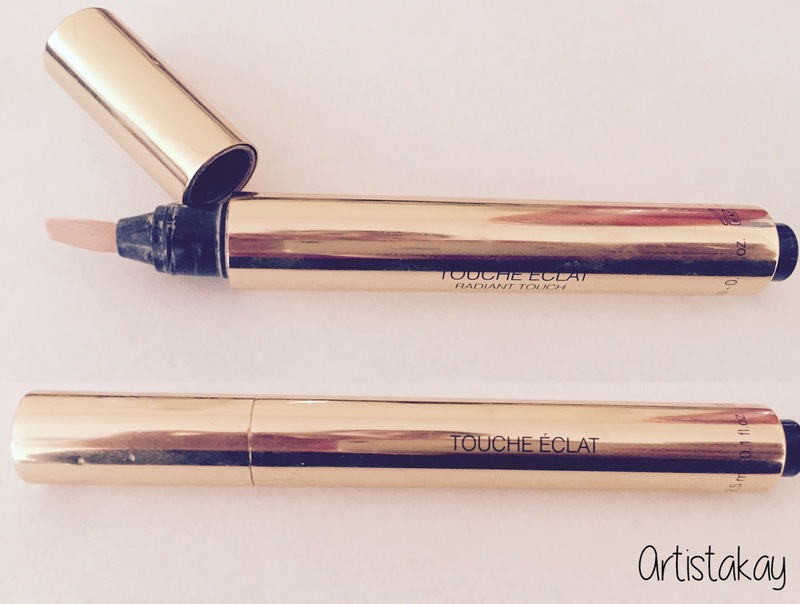 I love this YSL Touche Clat Radiant Touch Pen so much that I use it sparingly. What is this pen exactly all about? According to the company, the pen is a highlighter cream that will help your face “capture eight hours of sleep with the click of a pen”. 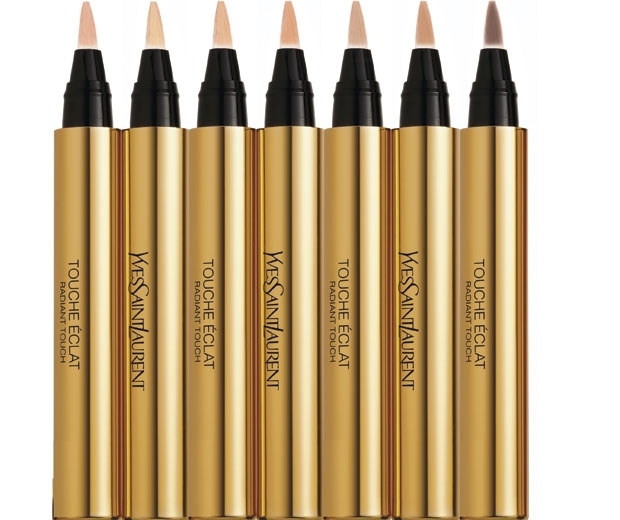 Touche Éclat also claims to reduce the look of fine lines and dark shadows. The secret is in the tiny light-reflecting illuminators contained in the formula. How do I use this product? I just apply some under my eye and blend it out with my ring finger or a beauty blender. I can see the result immediately and I love this product. I use the shade “1 Luminous Radiance” and there are 11 shades to choose from. Here is a before and after photo, on the right is the before and I have no product on. As you can see I have blue pigmentation in my inner corner and underneath my eyes. 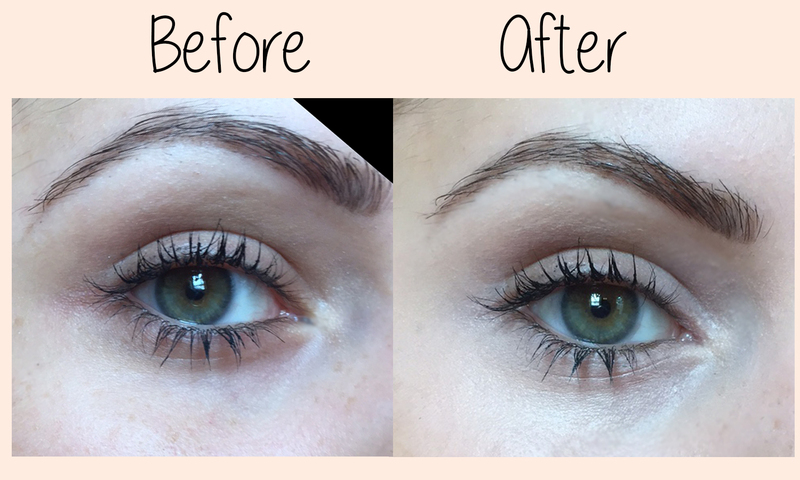 On the left, I applied the touch clat and you can instantly see a difference, no creasing, it has brightened up my under eye and reduce the appearance of my blue inner corners. Sometimes I apply this on the bridge of my nose, on cheeks and a little bit on my chin to illuminate the face and have a fresher look. The product needs to be used correctly in order to be properly optimized. 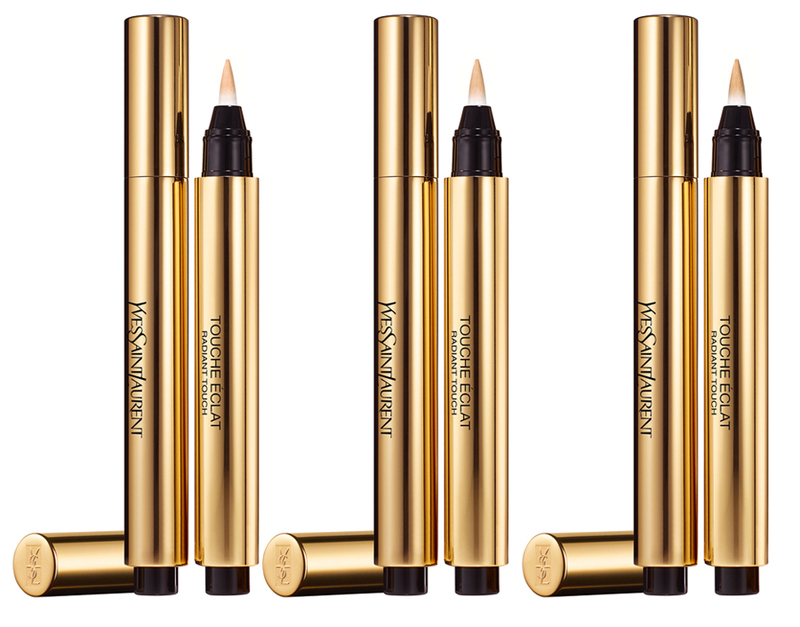 The people at Yves Saint Laurent suggest that the pen be used on the sides of your nose, corners of your mouth, the hollow of the chin and in the inner and outer corners of your eyes. Use the brush to apply and then blend the product in with your fingers to complete your look.